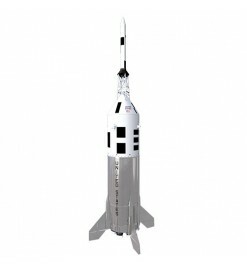 Scale or almost-scale rockets, replicas of real rockets and suitable for E, F and G-class engines. Mid-power There are 3 products. 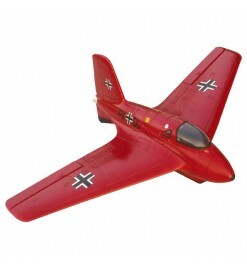 Scale flying model of Messerschmitt Me-163 “Komet” rocket fighter of II WW. The Komet is a legend in itself. It was the first rocket fighter plane actually used in the war, against Allied bombers.This scale model is radio controlled, propelled by a rocket motor and can take-off horizontally. After burnout it glides back under radio control. 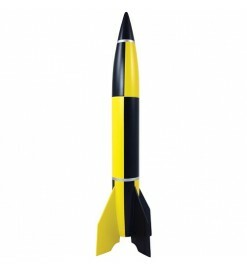 A semi-scale replica of what is maybe the most famous missile of all times: the German V2.